Since its debut in 2010, Instagram has become one of the most popular social media platforms today. Who you follow determines the kind of content you see, but the appeal of this platform from the user’s perspective is your profile consists of only content you want the public to see: the successes, travel logs, the engagements, etc. 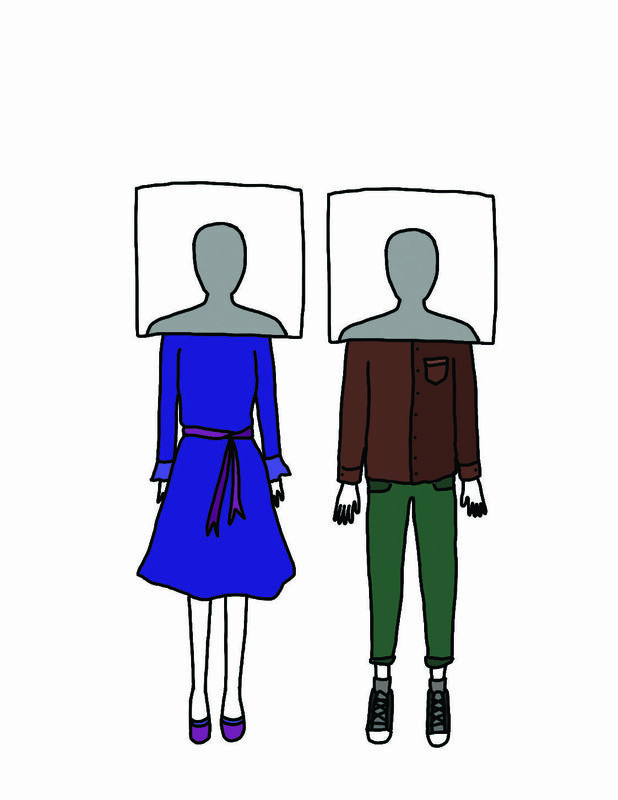 This selective digital reality allows users to create the ideal version of themselves. While broadcasting the highlight reel of one’s life to the masses can be fun, it can also lead to boredom and a desire to express a different image, leading to the creation of multiple accounts. According to CNBC, there are 800 million registered Instagram users as of 2017. Part of the Instagram population consists of “Finstagram” also known as “fake Instagram” accounts. Finstagram or “Finsta” for short, started to become popular among teenagers and young adults who were seeking a place to share parts of their lives that they wouldn’t broadcast on their real instagram also referred to as “Rinsta” by communication professors. Contradictory to the name, Finsta accounts created a private place for people to post content that reveals a more real version of themselves. These types of accounts gained popularity by teenagers after parents started to become active on social media and were able to view their children’s posts. Similarly, young adults entering the workforce make these accounts so employers only view the filtered persona users create on their main social media accounts. Finsta users typically keep their follower numbers to fewer than one hundred people, allowing them to pick and choose exactly who can view their content. While Instagram allows for anyone to make their accounts private and select who follows you, the purpose of Finsta is different. UTSA freshman Faiza Ahmed has 608 followers on her main account and a selected 48 Finsta followers. 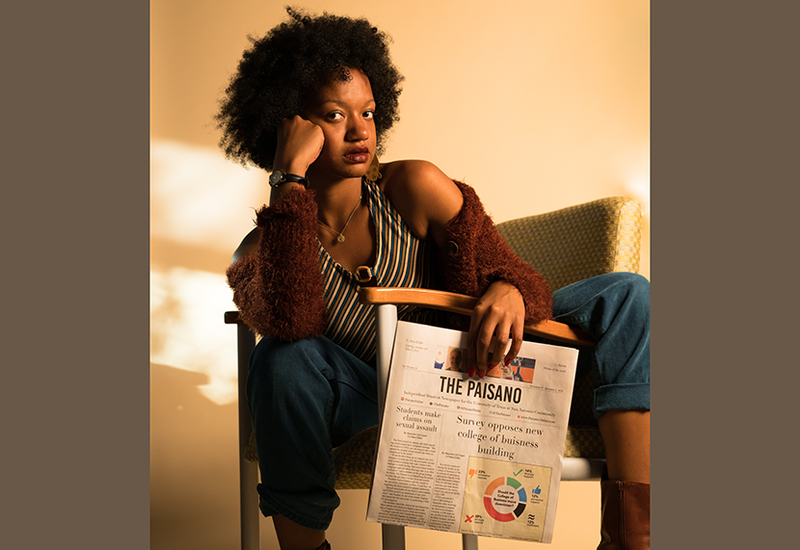 She created her Finsta because “the idea of having a private forum as opposed to a public one where I could post more intimate things, while still delivering it to people that I want to see it was cool to me,” Ahmed said. A common trend on Finsta is the phenomenon of “sad posting,” where users vent and expose a negative side of themselves. “I would say my Finsta is unconventional in that I try to send positivity on my account because I feel like Finsta is a breeding ground for hate and negativity, and I know a lot of people who primarily use their Finstas for that purpose” said Ahmed. 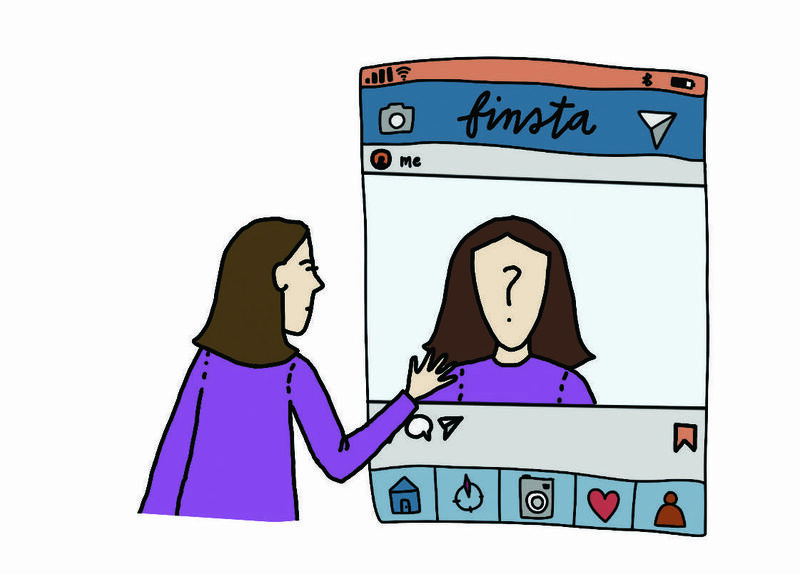 Following someone’s Finsta account gives an inside look at the more taboo aspects of their life, creating another side to the way they are perceived. “Whatever you choose to publicize whether it’s on Finsta or not, there is subconscious judgment of your character that is bound to happen,” said Ahmed. While to the average social media user Instagram and other platforms are just places to essentially create a digital scrapbook, there is a science behind it all. The communication theories of self identity and social identity relate to the Finsta phenomenon. According to Dr. Kang, self-identity theory states that the motivation of self-identity via mediated communication channels influences social well-being. The term well-being in this case is used to describe self esteem, social health, mental health and narcissism. Referring to Finsta users in relation to the self-identity theory, The theory of social identity states that people use the groups they belong to as a source of pride and self esteem. By creating a second account, Finsta users are creating a second social circle to cater to, giving them another place they can receive validation and acceptance. “When Finstagram users feel belongingness in their group (limited friends), it can lead to the feeling of pride or out-group aggressiveness. We can assume that social identity building on Finstagram increases in-group solidarity and out-group hostility.” said Dr. Kang. As social media is relatively new, society has yet to see how these platforms will continue to change the way we interact. However, if the dependency on private accounts like Finstas continues there is potential to affect users views of socialization and build a dependency on insular networks. Compartmentalization can lead to the deflection of self awareness and projection of unrealistic views of communication. However, some use the separation provided by Finsta as a way to broadcast a more marketable aspect of themselves, such as their fitness journey, recipes, fashion or makeup. Creating separate accounts to cater to different groups is a frequently used marketing tool to reach different audiences without overwhelming or losing public interest by displaying all aspects of an individual on one account, therefore having potential to reach a larger audience. Social media is an important tool in the modern age, as it allows us the opportunity to reach millions in the palm of our hands. Businesses, celebrities, politicians, students and adults come together on these platforms to create a diverse digital community that can be utilized for greater human connection.